Ways Your Business Can Benefit from Solar Panels - RenewPI can help! By investing in commercial solar panels, your business could reduce operating costs, keep a set rate on your energy costs well into the future, and create positive business promotion by decreasing your company’s carbon footprint. Choose commercial solar panels, and create a brand that is not only friendly to your budget but also to the planet. 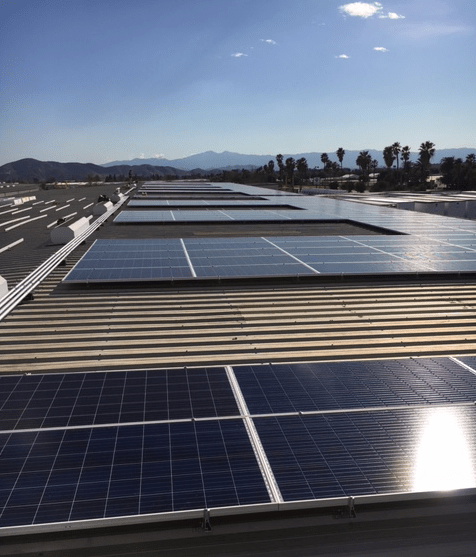 Your company can take advantage of the free sunshine to reduce energy costs by large amounts through the installation of commercial solar panels. Coast to Coast Solar will provide you with quality materials and professional service to ensure that your commercial solar panels last you a long time. Consumers are looking to do what they can to move away from harmful consumption—your company could be on the side of progress while reducing your carbon footprint with commercial solar panels. We know that commercial solar panels are a big investment for your company, but when you can begin to rebrand yourselves and promote your new solar panels, consumers will come. Through effective promotion, commercial solar panels can do more than just save you money on energy bills for many years to come—they can help you rebrand to stay modern as an environmentally conscious company. Build your clientele with this important investment for your company, and watch how commercial solar panels boost your market appeal. Coast to Coast Solar is ready to bring your company into a new market while cutting your energy bill, saving you money. Call today to learn about how commercial solar panels could be your best chance at a stronger, more appealing company: (949) 337-1950.